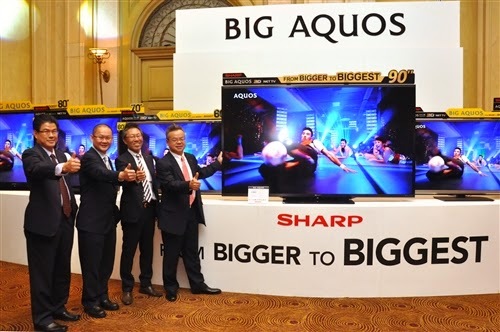 For the past 32 years, Sharp (Philippines) Corp. has been an integral part of many Pinoys’ lives, primarily because Sharp never fails to enrich their lives with innovative products and technologies. As an electronics and home appliances company that started in the country back in 1982, Sharp (Philippines), Corp., in partnership with Sharp Corporation of Japan, a trusted global brand that has been present for more than 100 years, has proven that it deserves to be a part of Filipinos’ lives through products that they can trust and be truly proud of. One of these products is the Plasmacluster Ion (PCI) Technology, which helps clean indoor air and make it healthy by deactivating airborne viruses, allergens, and bacteria using a pioneering air purification technology. This technology mimics the way nature cleans the air, with positive and negative ions that effectively break down and deactivate harmful airborne substances, deodorize the room at twice the speed and eliminates 99 percent airborne microbes, while providing better moisture to the skin. Because PCI is all-encompassing in its fight against airborne threats, Sharp has equipped its Deluxe Split-Type air conditioners with the technology, so you can truly relax, knowing that the cool air you’re enjoying is also 99 percent safe from airborne allergens, viruses, and bacteria. PCI can also be found in select Sharp Refrigerator units, helping keep your food fresher and safer from molds for longer while also keeping it odor-free. Sharp also elevates the standards in TV viewing and home entertainment with the introduction of the Sharp AQUOS Quattron Pro. Compared to the typical Full HD TVs in the market, Quattron Pro has four times better resolution, employs Quattron’s Four Primary Color Technology (Red, Green, Blue and Yellow) for brighter and more natural colors and deeper blacks, and a proprietary built-in upscaler called the Quattron Pro Drive which can upscale your Full HD content almost equivalent to Ultra HD quality. It is the highest resolution Full HD TV out there, and is also the only Full HD TV able to play 4K material. And because it’s a THX-Certified HDTV, you can be sure that it has passed the highest standards in both visuals and sound. All these for a more enhanced, cinema-house quality viewing pleasure for the whole family. With the new AV Rack, Sharp introduces a more cost-effective and space-efficient way of having a home theater system. The AV Rack simplifies the audio-visual setup by giving you a 2.1ch speaker and a TV rack in one sleek wengue-finish setup. The AV Rack can carry a TV up to 42- inch (40kg), is easy to install, and allows you to use your USB drive so you can play your digital mp3 and movie files, among other convenient features. For pure home entertainment, Sharp brings in the Sharp Active Multimedia or SAMM. Available in 32” and 19” LED Display, SAMM is the life of a party. Just plug in SAMM and enjoy over a thousand songs with two microphone outputs for duets. It’s another simple yet innovative way to fire up any gatherings and celebrations. 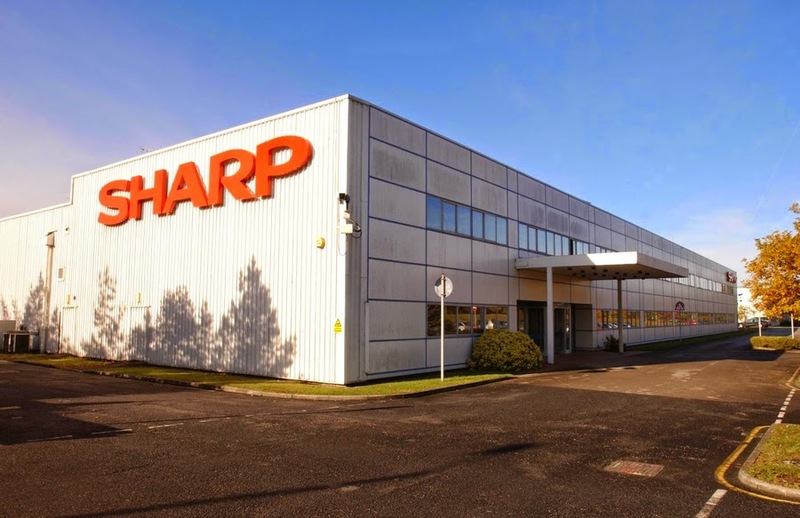 Sharp has always been known for its washing machines – and for good reason. It has always come up with washers that are tailor-fit for the lifestyle and requirements of the Filipino family. With the evolving needs of the Pinoy family in mind, they have come up with the first and only Double Washer in the country. This novel product effectively helps cut laundry time by allowing you to wash colored and white clothes (or delicates and heavy items) in separate tubs at the same time. This simple innovation helps save time and energy, definitely a good news especially for multi-tasking mothers out there. Indeed, Sharp has come a long way in its relationship with Filipinos. Compared to other brands, Sharp continues to make Filipinos’ way of living better. With greatly engineered products that are deceptively simple but are attuned to their needs and are guaranteed to last long time, Sharp upholds Our Brand, Our Pride and will continue to do so for years to come. For more about Sharp (Philippines), Corp. and its lineup of products, visit www.sharp.ph.